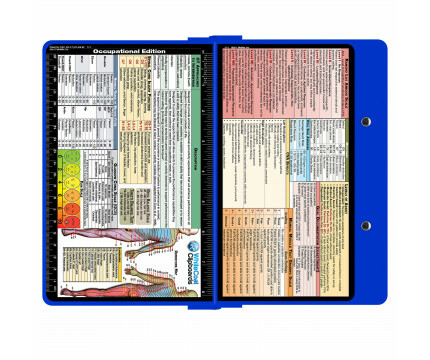 Full size occupational therapy pocket clipboard from WhiteCoat Clipboards. 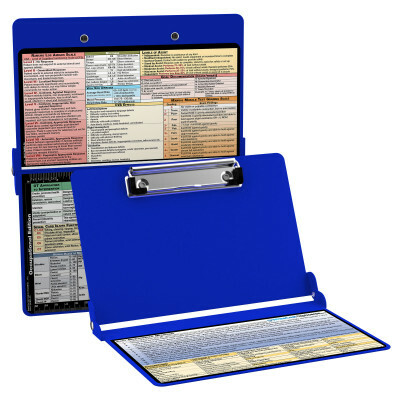 Unique design allows you to fold the clipboard in half for storage in your pocket. 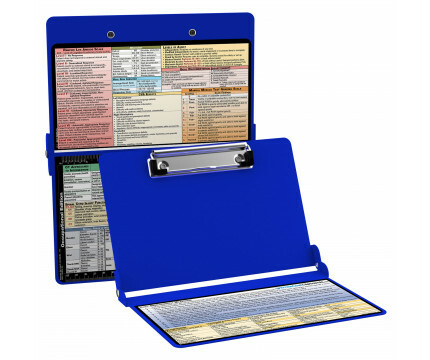 Made of lightweight aluminum with the ability to carry 30 pieces of paper without a crease while at the same time securing all your medical information or important documents inside. 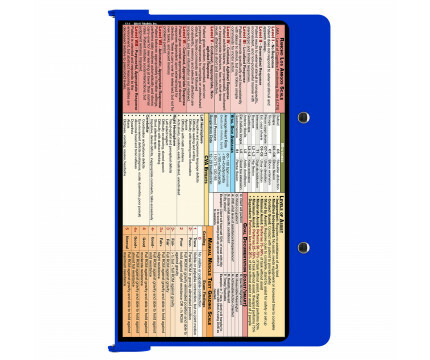 Carry client assessment forms, treatment protocols, medical precautions, and all your documentation in a HIPAA secure clipboard. 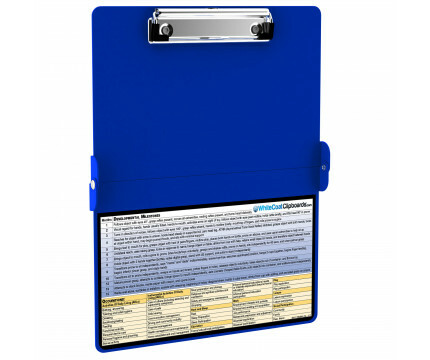 The clipboard also functions as a quick reference guide with detailed day-to-day information such as developmental milestones, a list of occupations, a guide to documentation, pain scale, and much more. 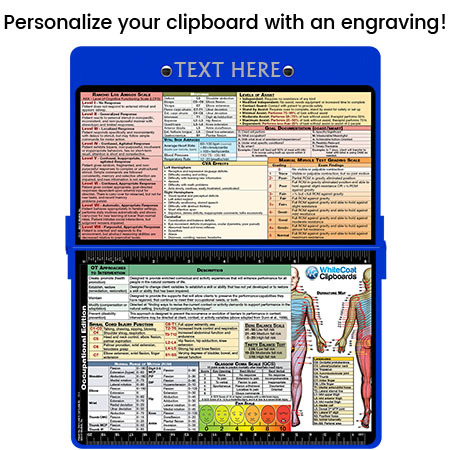 To see all the occupational therapy specific information on this clipboard, hover over the clipboard images above to display high resolution details.